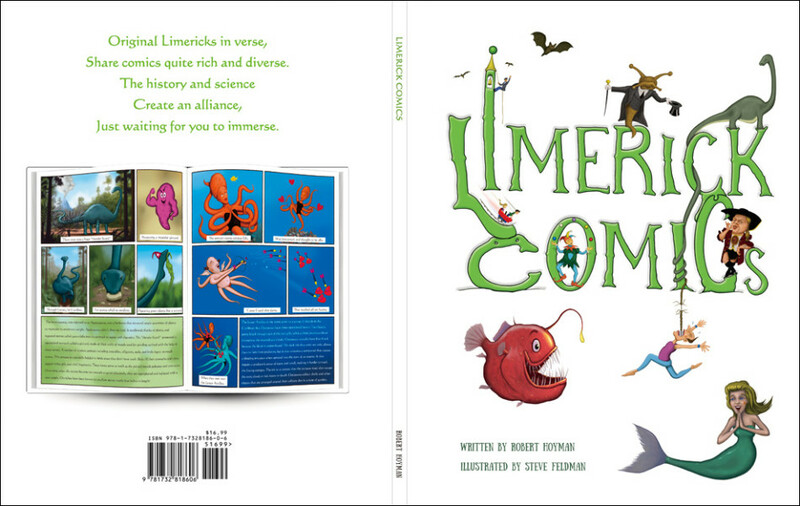 I had a blast illustrating "Limerick Comics"! This book of fun limericks is presented in a comic book format with six panels per page. 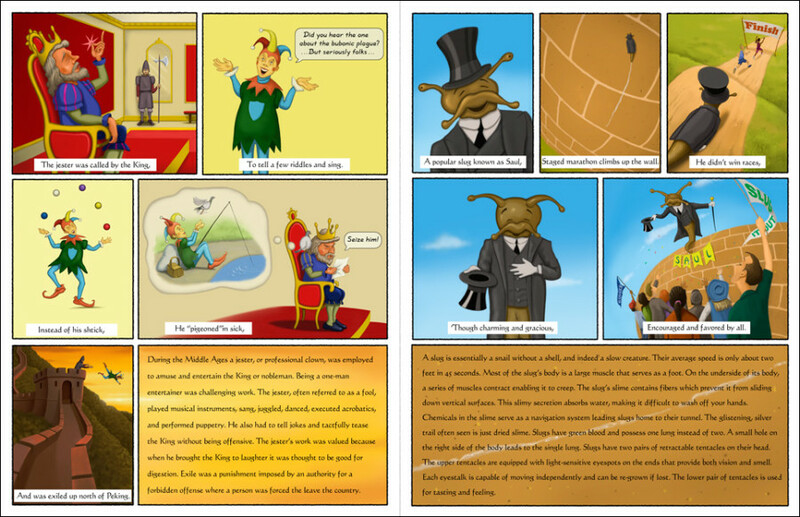 The sixth panel of each page is a supplemental paragraph of factual background information related to the subject matter in that limerick. While geared toward middle grade readers, the author is equally cognizant of the value to educators in having a worthy time filler for unexpected situations that may arise periodically or for substitutes who may find themselves without a lesson plan for the day. Educators will be thrilled to learn that superb professionally crafted lesson plans are also available to augment the book!